Happily-ever-after starts at The Marine Room. 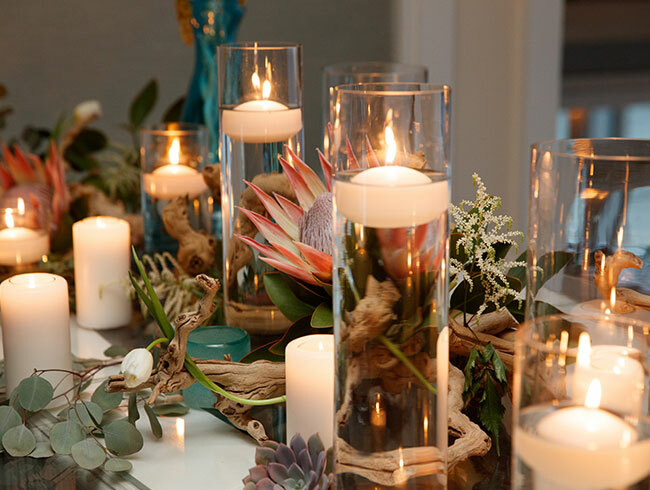 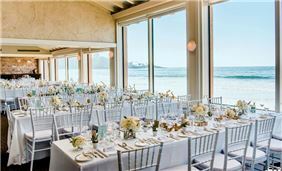 Let the tranquil beach and ocean waves be the backdrop for your special day, as you transition seamlessly from a ceremony overlooking the ocean to a wedding reception with music and dancing. 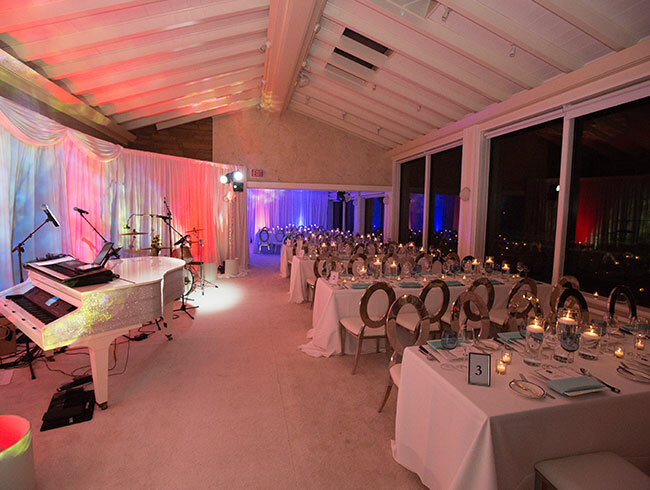 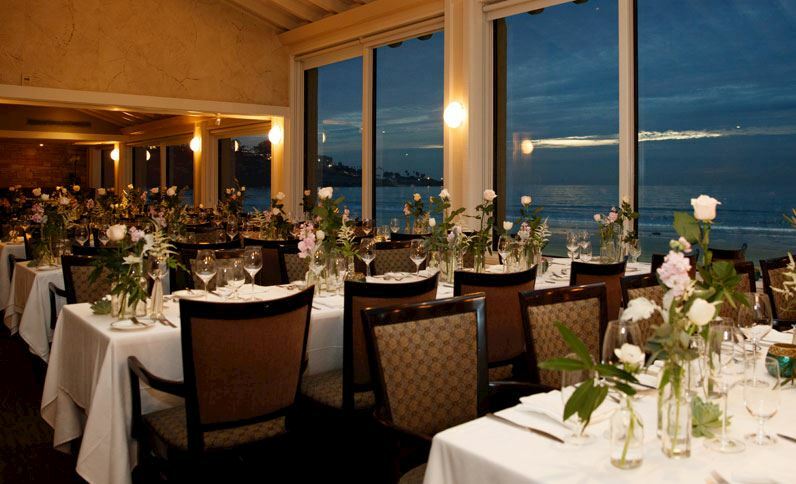 Reserve our entire wedding venue in La Jolla for affairs accommodating up to 230 guests or book a small reception or rehearsal dinner from the complete privacy of the Seahorse Lounge to the panoramic coastline views of the Terrace. 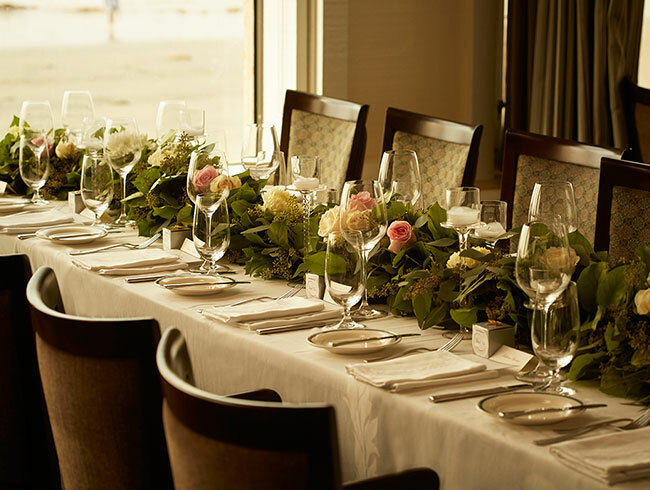 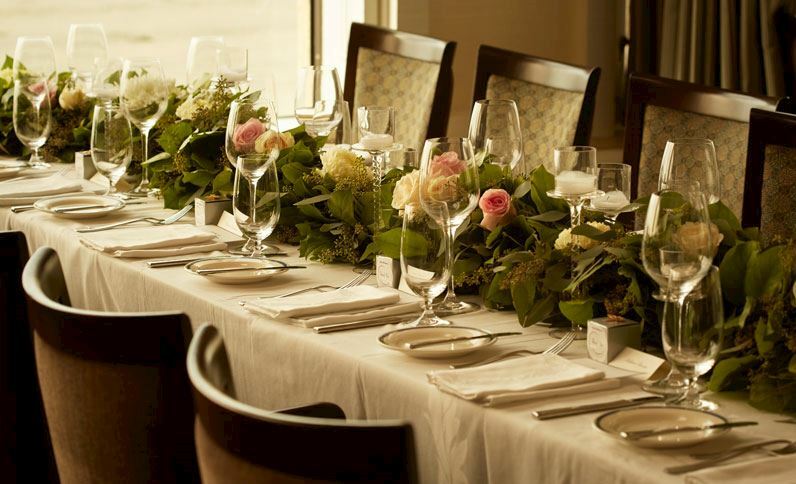 The Marine Room has brought couples together for generations with its inspiring views and award-winning cuisine, ideal for celebrating the rest of your life together. 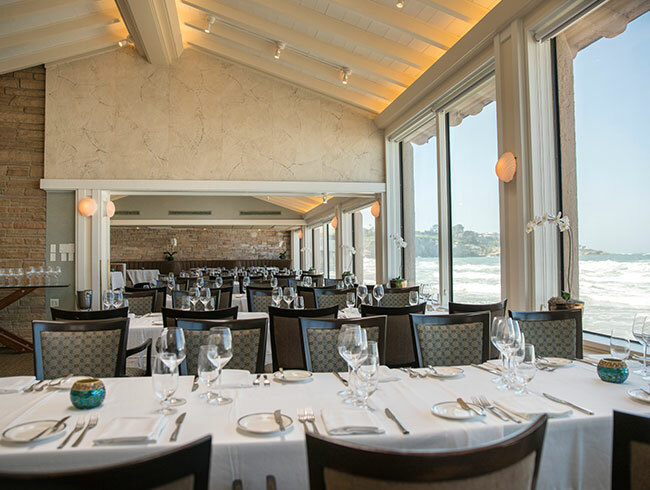 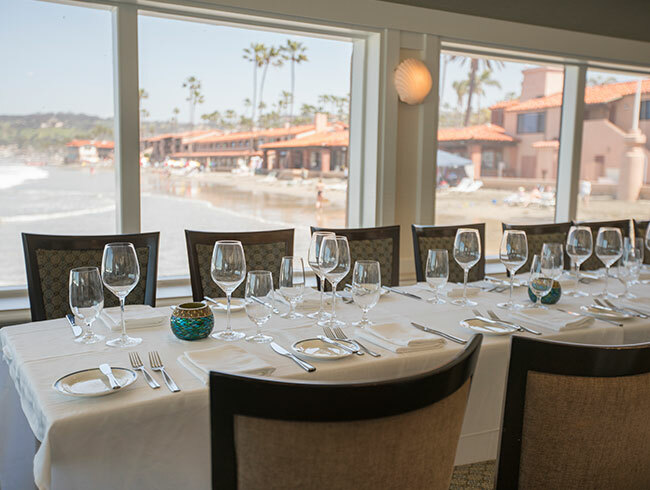 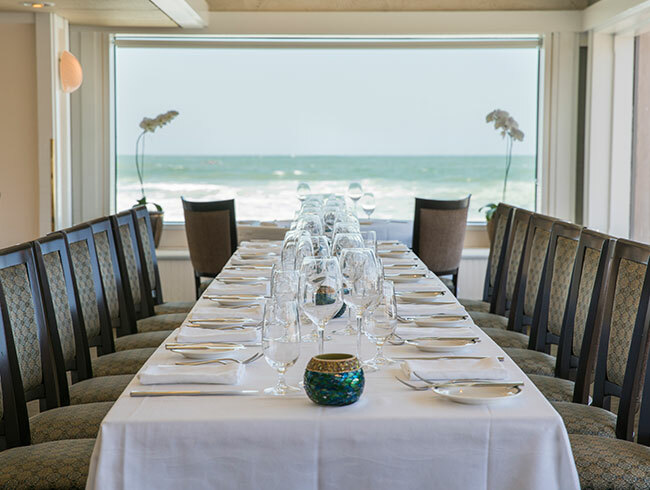 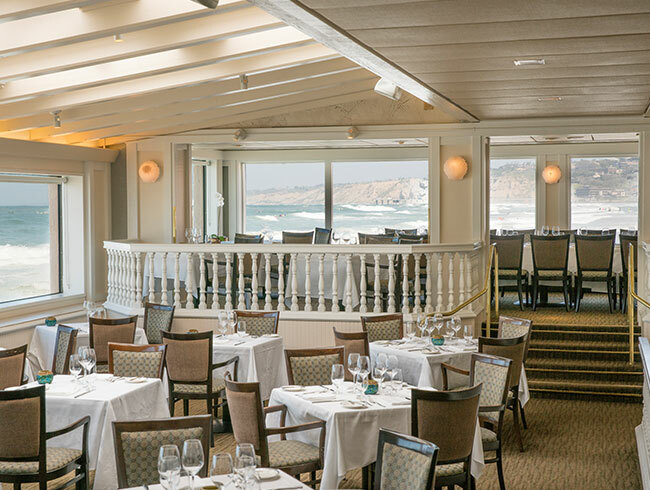 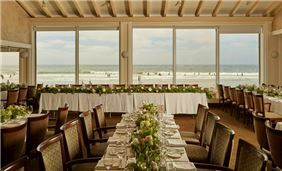 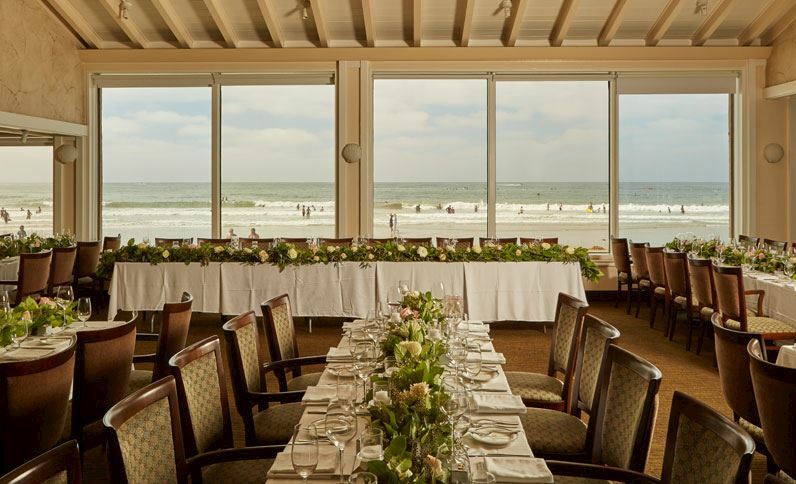 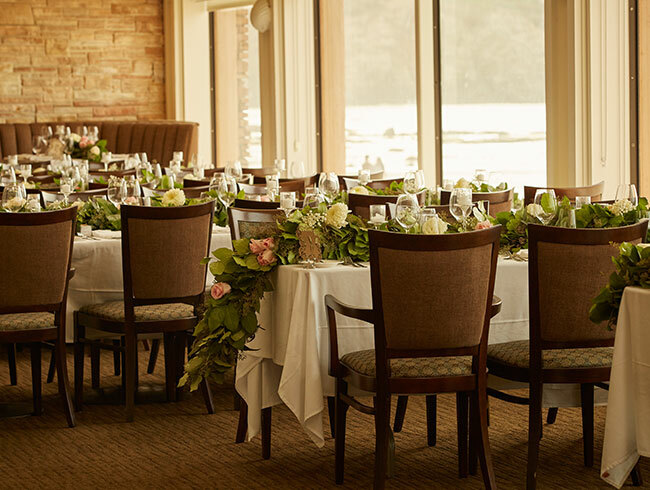 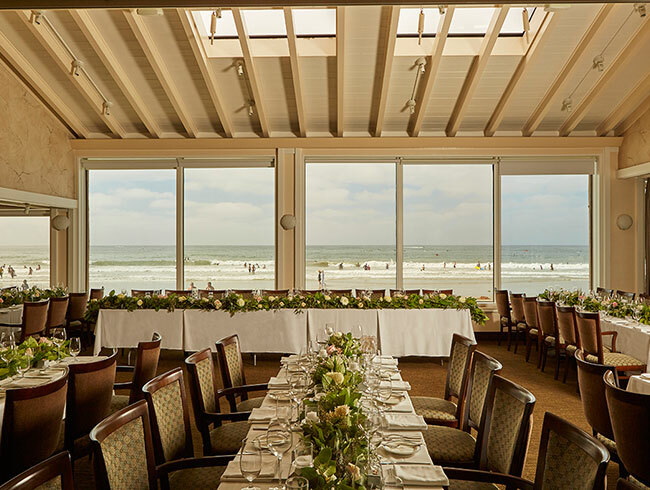 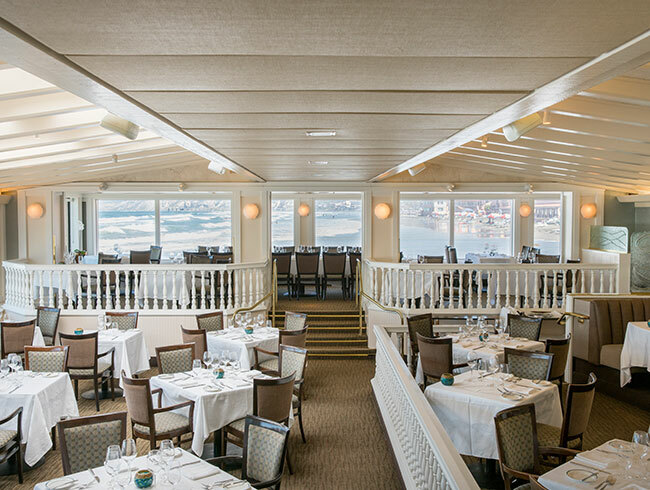 Whether it's a seated three-course dinner or tray-passed hors d'oeuvres with dancing, The Marine Room makes the perfect location for your oceanfront celebration with seating for up to 230 guests. 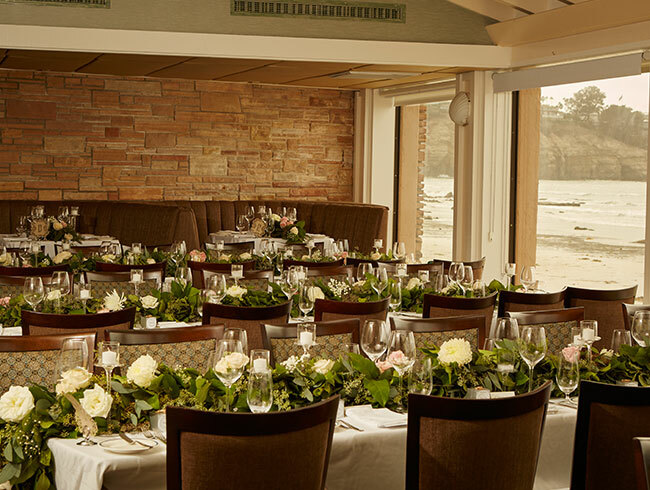 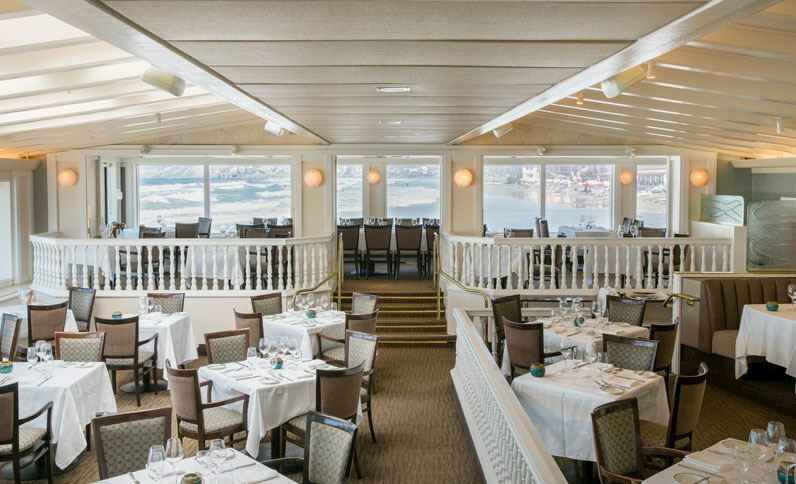 Located on the northern of The Marine Room, this semi-private area seats up to 46 guests. 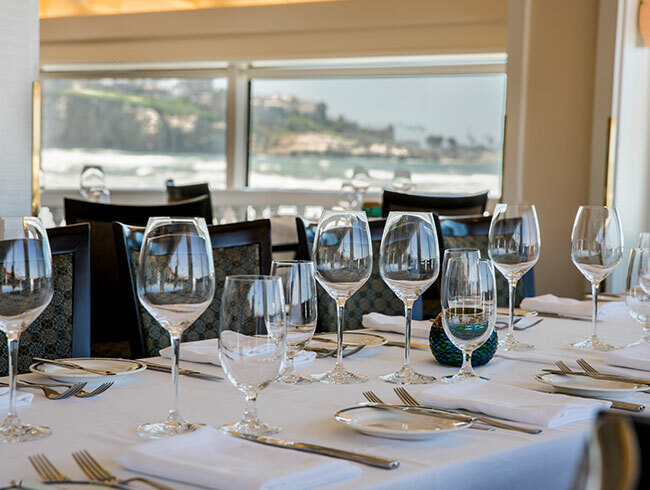 Gaze out of the panoramic windows for unrivaled views of Pacific Ocean, Torrey Pines cliffs, and La Jolla Cove. 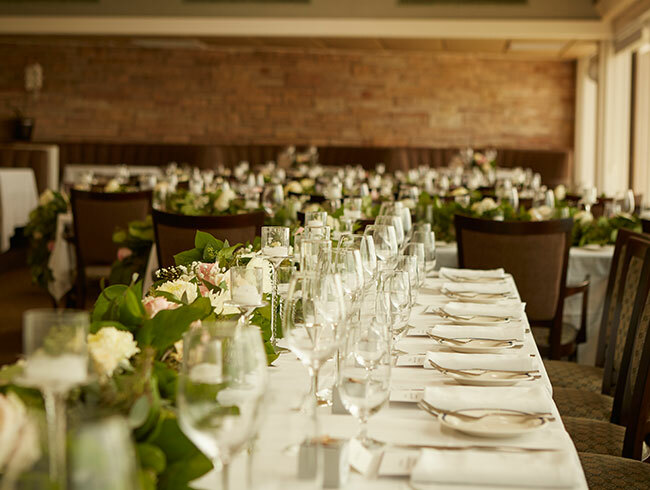 Perfect for larger celebrations up to 108 guests, this space includes the main dining room and terrace. 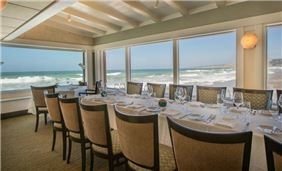 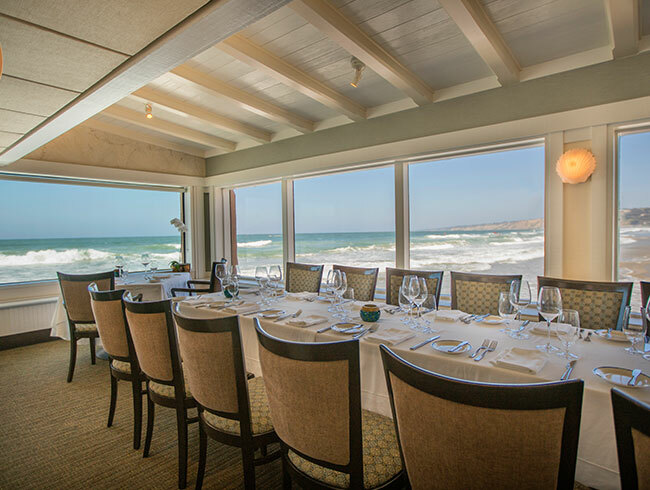 Enjoy panoramic views of the Pacific Ocean and Torrey Pines cliffs through the wall-to-wall windows. Located on the southern end of The Marine Room, this fully private area seats up to 56 guests for mid-sized gatherings. 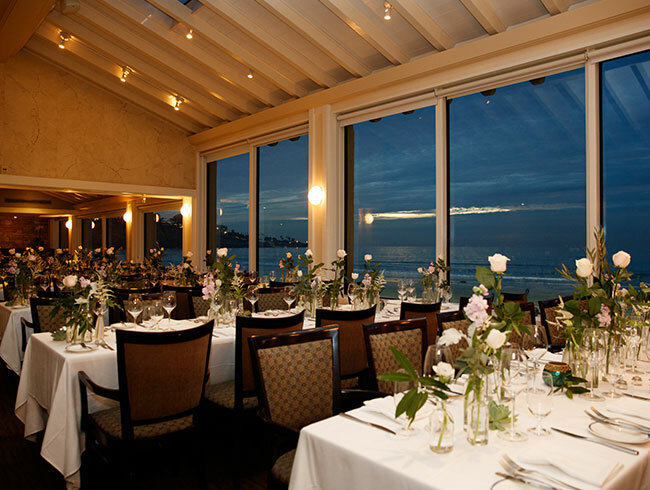 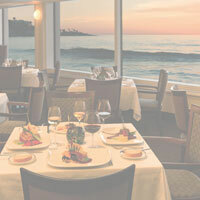 The space includes five booths and tables with stunning ocean views. 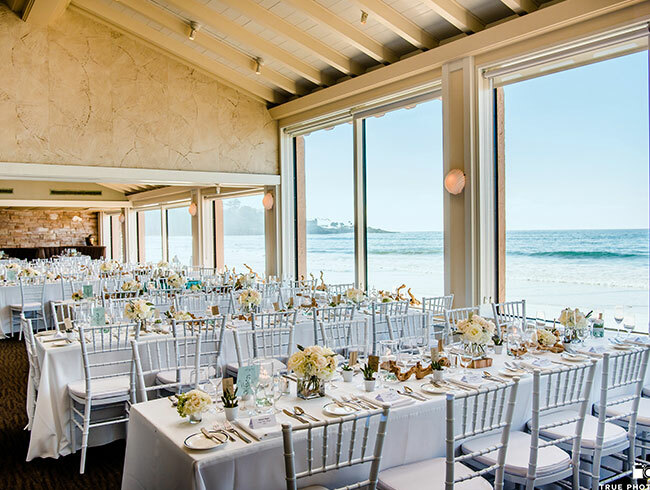 Located in between the lounge and Seahorse room, host your next mid-sized gathering in this semi-private area that seats up 70 guests and features stunning views of the Pacific Ocean. 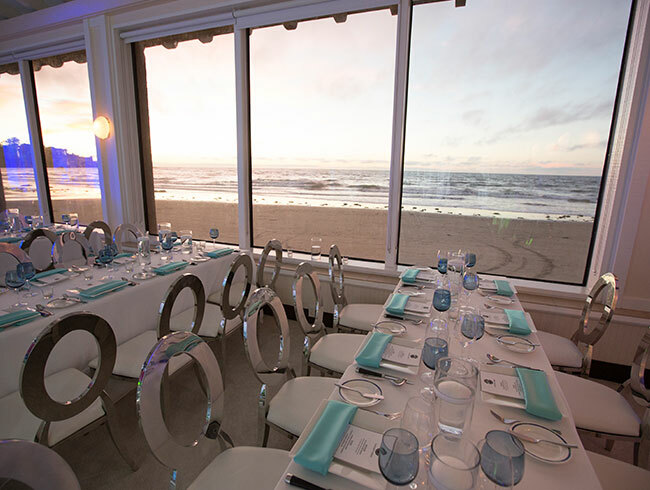 A combination of the Seahorse and Spindrift Rooms, this private event space has a capacity to seat 120 guests and can include the bar and lounge area for even more space.